As a young boy, Gychnayder (“G”) came to the United States from Haiti to live with his aunt. They had very little and eventually G’s aunt could no longer afford to take care of him. As a teenager, he found himself homeless. G’s basketball coach recognized that he was a hardworking student with incredible potential who just needed an opportunity. One day at school, his coach pulled him aside and invited G to live with him until he graduated high school. Upon graduating, G was accepted to live at Villages of Hope, where he was given the support and opportunities he needed to succeed. 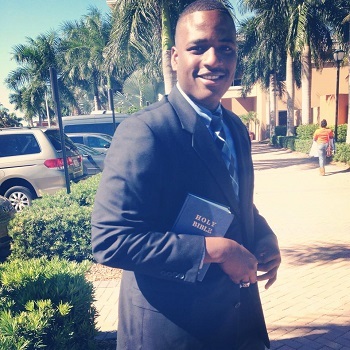 G was awarded a full scholarship to Everglades University, where he is working towards a Bachelor’s degree in Business Administration, and was recently gifted a full scholarship for his Master’s Degree! G aspires to one day start his own clothing line.